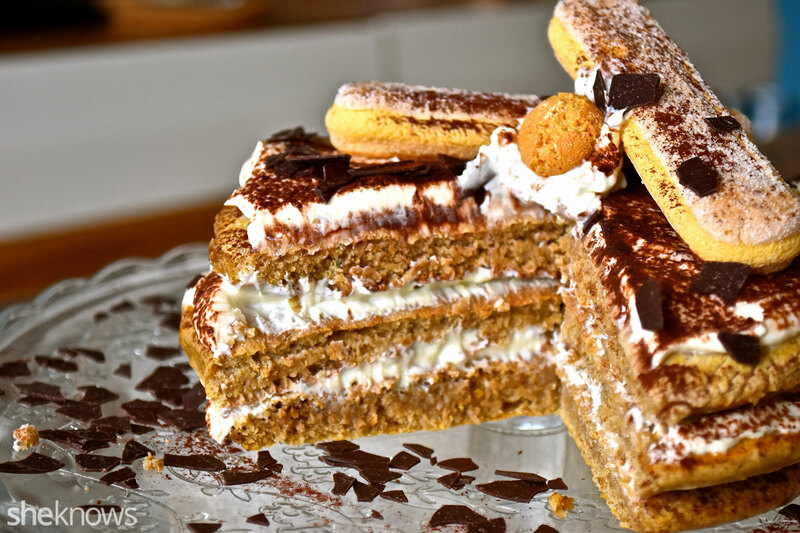 It’s no mystery why tiramisu is an internationally beloved dessert. Sweet notes of mascarpone cream are gently subdued by savoury ricotta and the bold richness of freshly brewed espresso. It’s addictive (we get it), and that’s why we totally think this should be a socially acceptable breakfast. Coffee lovers, meet your new favourite and easy tiramisu recipe. 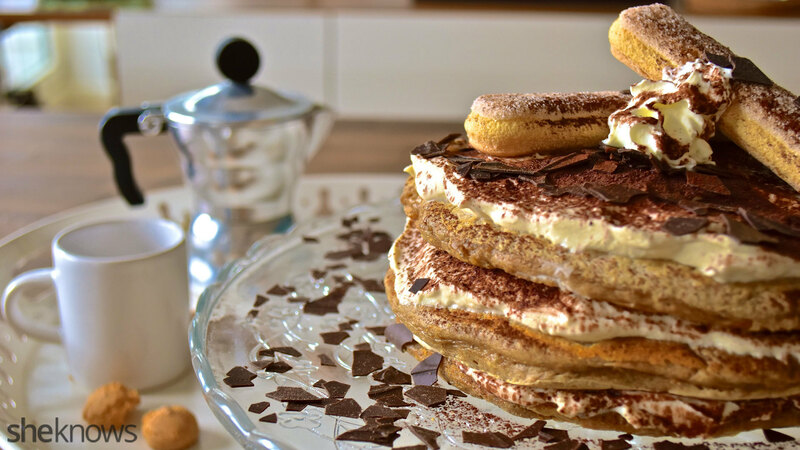 Layered with a creamy blend of mascarpone, ricotta and chocolate and topped with ladyfingers and whipped cream, this serious stack of pancakes is for those who live for gorgeous dessert-breakfast hybrids. Be advised: It will require a tremendous amount of self-control to not spoon this velvety and caffeinated pancake batter into your mouth, but we promise the wait is worth it. In a medium mixing bowl, combine all the filling ingredients, and mix well until creamy and smooth. Set aside. In a large mixing bowl, combine all the dry ingredients for your pancake batter (flours, cocoa powder, baking powder, baking soda, salt), and sift well until all clumps are removed. Set aside. In another medium mixing bowl, mix together the eggs with the milk, espresso and Greek yogourt. Mix well. Add in the vanilla extract and honey. Mix well until the mixture reaches a light and creamy texture. Pour the milk mixture into the dry ingredients, and stir until a thick batter is formed. Heat a large, nonstick skillet or pan over medium heat, and coat with a thin layer of melted butter. Spoon the 3 – 4 tablespoons of batter onto the skillet, and gently form a round using the spoon. Allow the pancake to cook until bubbles start appearing on the surface. Once the bubbles have appeared and popped, gently flip, and allow to cook for another 1 – 2 minutes. Remove the cooked pancakes from the pan, and set aside until all the pancakes are made. For the assembly: Pour 1/2 cup of espresso into a large bowl. Gently and quickly dip 1 pancake into the espresso, and transfer to a serving plate. Using a spatula, spread 1 layer of the ricotta-mascarpone mixture on the pancake. Dust with cocoa powder. Repeat and stack until all the pancakes are used and the ricotta-mascarpone mixture is gone. Top with whipped cream, chocolate chips, ladyfingers, amaretti or other toppings of your choice.